There are many positions within the front of house team and full training will be given to develop your skills. The front of house team are the face of the business so smart presentation and a friendly smile are a must! 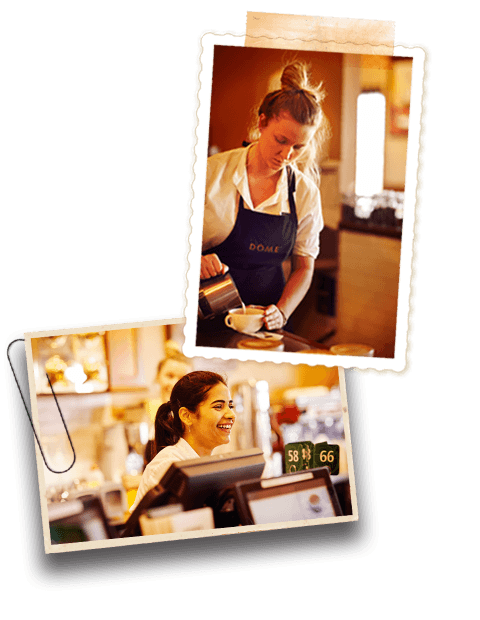 We like to develop the team to multi task so you can move between the roles to suit the cafés needs. It’s all about teamwork. You may start your day greeting guests and taking orders and move onto preparing our famous Espreskis, there’s always plenty to do. We take our coffee seriously and offer comprehensive training to our Baristas to ensure every pour is perfect! It can be quite demanding as you’re on your feet, but there’s always a great atmosphere and we encourage you to get to know the guests.